The 2016-2017 PBA Philippine Cup saw huge crowds drawn to the Big Dome as San Miguel Beer beat Ginebra and Rain or Shine dominated Phoenix Fuel. The Rain or Shine Elasto Painters started the new year right after thumping the Phoenix Fuel Masters, 97-82, to grab the solo second spot in the Oppo PBA Philippine Cup Sunday at SMART-Araneta Coliseum. Jericho Cruz exploded for 21 points and made five out of nine from beyond the arc to pace the Elasto Painters. He nailed three straight triples in the last 5:30 of the game to seal their victory. With the win, Rain or Shine improved to 5-2, behind league leaders San Miguel, as they also nailed their second straight victory. The Elasto Painters also got help from Jeff Chan, who had 12 points, and James Yap, who chipped in 10 markers. Jericho Cruz (ROS) - 21pts 8rebs, 2asts, 5 triples. Matthew Wright (PHX) - 26pts, 12rebs, 5asts, 3stls, 2 triples. The San Miguel Beermen leaned on Arwind Santos’ prowess in the clutch to stave off the hard-fighting Barangay Ginebra San Miguel, 72-70, in their intense Oppo PBA Philippine Cup clash on Sunday at SMART-Araneta Coliseum. Santos finished with a double-double of 10 points and 12 rebounds and came up with huge plays down the stretch to spoil the Gin Kings’ comeback from 10 points in the fourth quarter. San Miguel extended its win streak to six games for a league-best 7-1 record. Alex Cabagnot led the Beermen in scoring with 16 points. 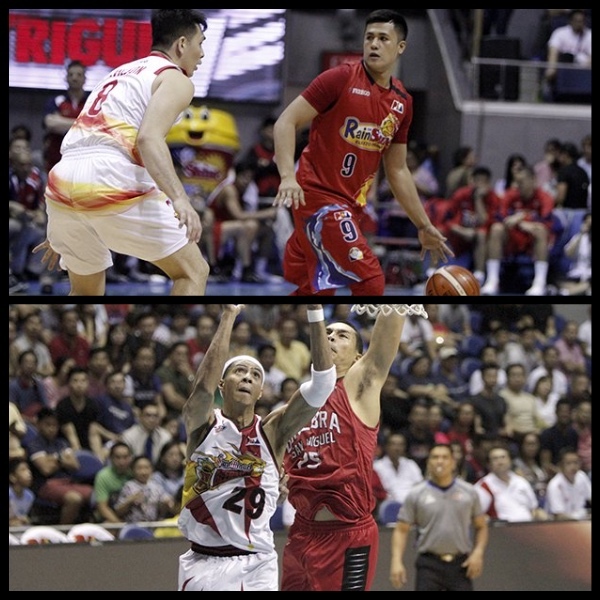 Ronald Tubid added 12, while June Mar Fajardo had modest numbers of nine points and 11 boards. June Mar Fajardo (SMB) - 9pts, 11rebs, 2asts, 2stls, 3blks. Japeth Aguilar (GIN) - 17pts, 11rebs, 1ast, 2blks.